As a past member of the Neighbourhood Planning group I believe this is a tragic decision which means that Dartmouth Town Council has given up their opportunity to have any influence over the shape and location of local developments such as the South Town Housing development, Affordable housing projects and The West Dart Development. With this proposal central Government gave local councils the opportunity to have a greater say in how their area is developed by offering them the chance to provide input to the Local Plan, and indeed St Ives used their local plan to restrict the building of new housing for second homes. With the West Dart development imminent (I think!) this could have been an opportunity to take the same decision as St Ives. It is very sad that the Town Council does not appear to have the will or motivation to use this opportunity to guide the future development of the town. I noted a letter in the Chronicle this week made the same point that this is a sad decision in which the Town Council derogates from its duty of care for the community. If you are not happy with this decision remember you will have the opportunity to select Councillors who care for the Town next year when the next Town Council elections will take place. Cllr Fyson read out his report (APPENDIX D) about the NP. The Mayor asked if the Town Council would like to move this matter forward. neighbourhood plan to be resurrected in the future. resurrected at some point in the future should Council so wish. Unfortunately I was unable to make the last full council meeting on the 5th November, just read that the neighbourhood plan has been shelved, and shocked disappointed, overshadowed by embarrassment that neighbouring parishes I finished theres, I am very grateful that DTC are not handling the BREXIT negotiations. Its gone to a full vote and there is little that I could have done had I been there to make any difference, especially from an elected member who’s record of attendance at subcommittees is appalling, not by my choice I hasten to add. 2020 new local elections I hope the new blood that represents our wonderful community make the Neighbourhood plan a priority, though a few years late. Steve it must be frustrating for you to participate in this disfunctional town council, I sympathise. 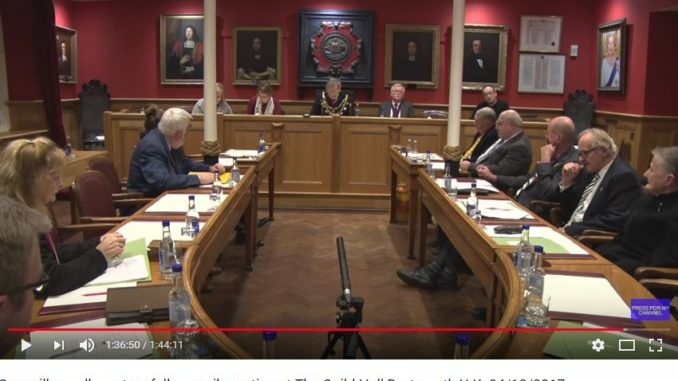 However they are prepared to take on this unpaid voluntary rOle so perhaps the blame lies with those who care for this town but are not prepared to take on the Councillor role. lets hope more responsible people are prepared to come forward for the next election. Is it in 2020? there is nothing on the web about it.